The 1980s brought us music by new artists that would become the mainstay of the 1990s and beyond, including Madonna, Huey Lewis, Prince and the Cure. But peppered in between these cultural icons were some others who flared up, and then largely disappeared. Think The Vapors with ”Turning Japanese,” Dexy’s Midnight Runners with “Come on Eileen,” and Men Without Hats’ classic “Safety Dance.” Today, these have become anchor tenants for any 80’s mix-tape. But there indeed were others who also popped up and vanished without becoming part of our collective memories. Here’s a quick brain-tickler for you on those other artists and their songs that maybe belong on that mix-tape after all. An Italian band released this 1985 hit that charted all over the world. Then they released a glob of versions and remixes — a “summer version,” a “swing mix,” a “DJ version,” and so on. Additionally, the song also has been covered numerous times. As for the meaning, life is a jungle so why not participate in some “monkey business on a summer afternoon”? Be forewarned: This song is a major ear-worm. Thank you, Baltimora, for giving us one of the simplest choruses to haunt us forever: literally “oh” repeated about 44 times as a representation of Tarzan’s famous cry. This Scottish band has sustained a cult following stateside but younger pop aficionados (who didn’t come of age in the ‘80s) can be forgiven for not knowing this song since the group didn’t have any subsequent chart-toppers to get it on their radar. 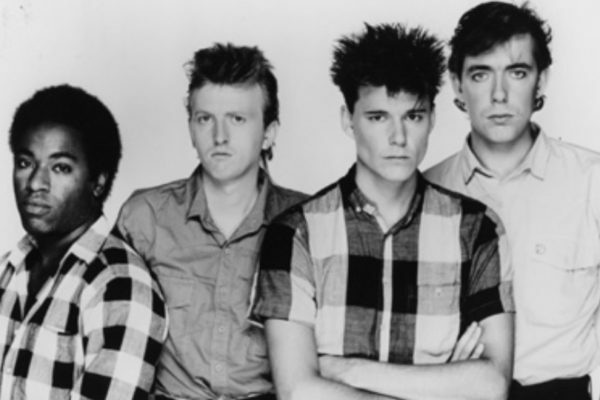 The fact that their name and their song share the words “Big Country” has made them easier to recall for those “in the know” but the accompanying official video — with the bandmates zipping around in ATVs and rappelling down a rock — make for strictly “time capsule” viewing. This music video was the zaniness you’d see on heavy rotation in MTV’s early years. Not so much anymore. Released in 1988, this catchy tune has a drum intro straight from “Wipeout” and continues with a quintessentially ‘80s chord-driven melody, enriched by soul organ. The song aired on MTV with a splash and was on heavy rotation for quite a while. With clever rhymes like “checking out blonde girl’s tan lines” and “busting more moves than Allied Van Lines,” this song brought Blotto time in the national spotlight while in the Northeast their popularity lasted longer with performers assuming stage names like Bowtie Blotto and Sergeant Blotto. Blotto continues to make appearances with a modified lineup. (They opened for Blue Oyster Cult in 2015.) Interestingly, the video for the song was done by students at SUNY Albany. Who didn’t like the quintessential arcade game Pac-Man? Who doesn’t like it now? But back then, we all had “the fever.” Peaking in 1982 at number nine (and certified gold that very same year), this novelty song is surprisingly well constructed with a solid guitar solo and an enjoyable break with atmospheric sounds from the game. The lyrics include a very specific description of Pac-Man gameplay with warnings about Pokey and Blinky, the ghosts that want to stop his compulsive eating habit. B&G tried to re-release — and later recreate — this unusual hit but wasn’t able to secure the rights to the sound effects. That said, a version of the song can be heard in the animated flick Pixels. 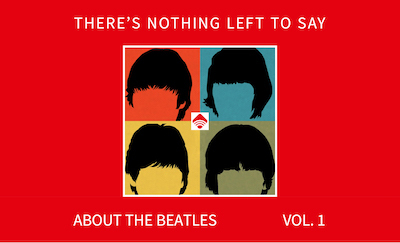 This song is sometimes associated with John Lennon’s murder even though it was written before that terrible event. In actuality, the lyrics are intended as an invective against anti-Semitism — specifically the Holocaust. Just listen as front man Tom Cochrane sings “We’re on guard against your final solution.” The tune peaked at number 11, so ‘80s nostalgists will definitely recognize it. But what they might be less familiar with is the eerie 50-second intro because it was regularly skipped during radio play. Also worth noting: “Lunatic Fringe” was featured in the Matthew Modine movie Vision Quest and popped up in the mixed martial arts circuit as the theme for UFC fighters Jared Rosholt, Dan Henderson, and Randy Couture. Who knew those guys were so socially aware? Stuck inside these stone walls. Might be here forever. Never seeing sunlight again. Like you….Linda…you…Linda…you…. If I ever get out of here. Think of giving it all away. Joining up with Ringo George and John. We’ll put the reunion on, if I ever get out of here. If I ever get out of here. We’ll the cops decsended in a mighty rage when we stepped off the plane. Then they put me in jail and when they let me out they said “don’t ever come back again…” You’re banned in Japan. Banned in Japan. The jailer man, and sailor Sam, said there’s room for every man, but you’re banned in Japan, banned in Japan, banned in Japan, banned in Japan. Just one correction to note: The article says that “I Wanna Be A Lifeguard” was released in 1988, but it would have had to been 1981 or before to have been shown on MTV’s first day in 1981.